It’s time to get down and dirty Wobble 2.0—the dubstep grime generator from SONiVOX. 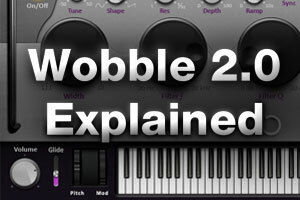 Wobble 2.0 derives its big-time grime from two synthesis channels, each with its own harmonic controls and filtering. Next, add in some LFO modulation that can be locked to the tempo. By the time you activate the pattern generator and layer on some effects, Wobble 2.0 is swaying and shifting at the edge of control! Overcome your audio vertigo-go with the help of Wobble 2.0 Explained. 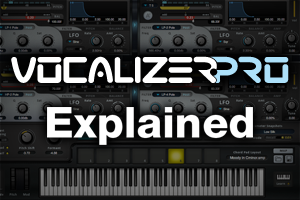 Synth and plug-in master Al Swettenham is your guide for Wobble 2.0 Explained. After an introduction to the four main pages—Browser, Sound, Pattern Generator, and Effects—you’ll explore each one in depth. When it comes to sound, Spectral Morphing Synthesis is a SONiVOX exclusive, offering a few simple controls to provide massive harmonic control. You’ll learn the secrets of using the discrete and detailed LFOs to really set the sound in motion. 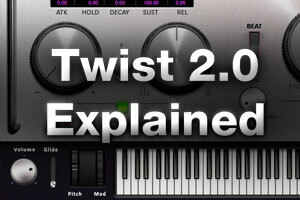 Wobble 2.0 Explained will also allow you to master the Pattern Generator, delivering automated stepped control over nearly every synth and LFO parameter. Plus, Al Swettenham will also introduce you to another SONiVOX exclusive – Intelligent Rhythm Control, (or IRC). And don’t forget the effects. Al finishes up with a great demonstration of Wobble 2.0 in action. Wobble 2.0 Explained provides over an hour of expert information, divided into seven easy to digest chapters that can be reviewed over and over again. Using the tempo-based parameters of the LFOs, the pattern generator, the IRC—and even the delay—allows the creation of massive swirling, grinding, undulating, and … well … wobbling sounds that move in sync with your music. Join Al Swettenham today and experience Wobble 2.0 Explained.